« Poll: What Grade Do You Give the Cardinals Draft? Alan Faneca, a nine-time Pro Bowl performer, will announce his retirement from the NFL today. Kent Somers of the Arizona Republic reported via Twitter that Faneca has decided to hang ’em up after a decorated 13-year career as one of the finest guards of his era. 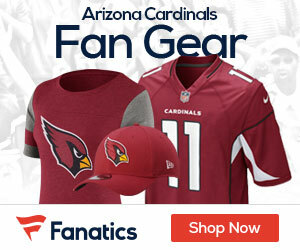 Faneca, who won a Super Bowl XL ring with the Pittsburgh Steelers, played last season for the Arizona Cardinals after being released by the New York Jets. He had a close relationship with Cardinals offensive line coach Russ Grimm, who also coached him in Pittsburgh. Faneca attended Grimm’s Hall of Fame induction ceremony.